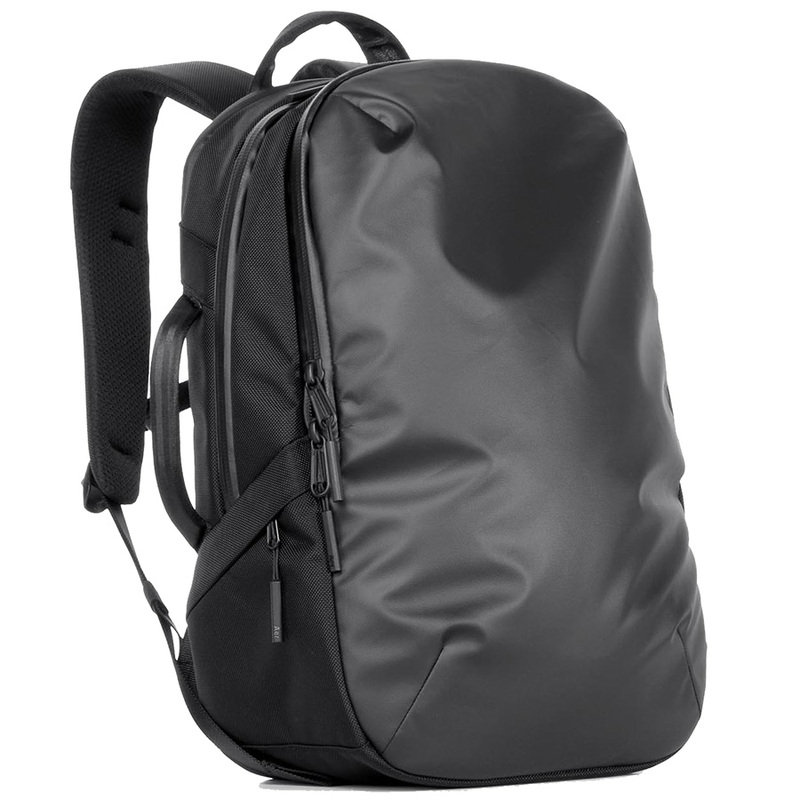 The Aer Tech Pack was designed for daily tech carry in mind and it shows. 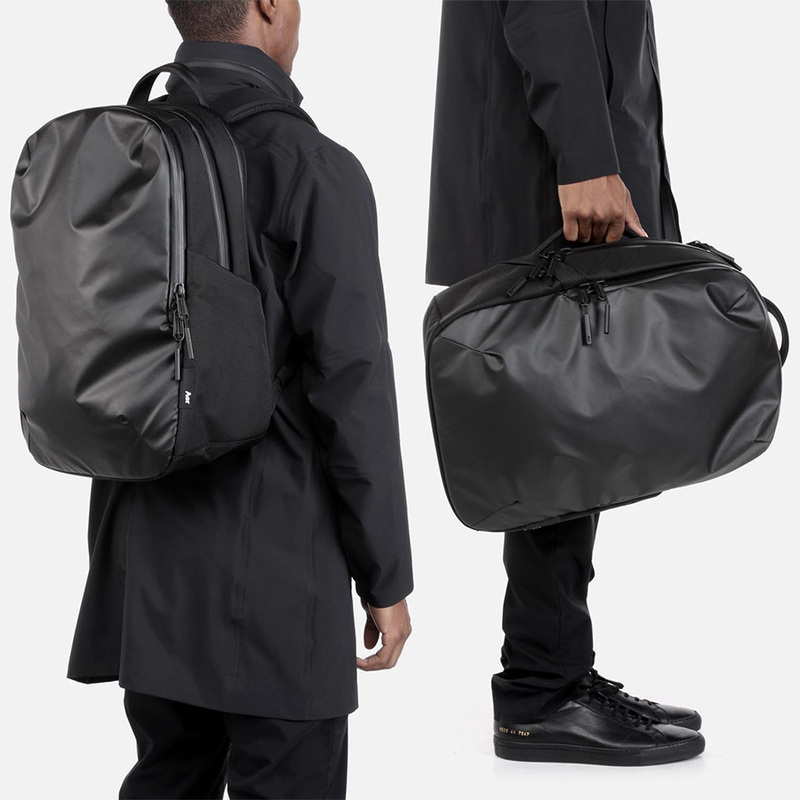 The bag is sleek enough to wear to work yet features enough functionality to be used as a dedicated commuter backpack. Features include separate padded laptop compartment, internal and external pockets and the same front panel organizer we have come to love about the Aer Day Pack. Although similar in design, the Aer Tech Pack can be considered the slightly bigger brother of the Aer Day Pack. This is due in part to the added separate laptop compartment and increased volume. Attractive modern design that can be worn just about anywhere. The Tech Pack includes an external water bottle pocket saving room in the main compartment (the Aer Day Pack has one inside the main compartment). Top stash pocket is perfect for quick access to glasses, phone or wallet. At over 3 pounds when empty, the Tech Pack is a bit on the heavy side for its size.